• 50 Amp Electric Service or simple 30 amp RV plug. The cottages are also equipped with Low-E glass thermopane windows in wooden frames. To maximize the amount of daylight coming into the house, the cottage has many large windows, including a big window wall. Furthermore, all the doors in the cottage are solid, and no drywall or cheap laminates were use on the walls. To give the impression of a real house, the Escape cottage design also features an overhang that extends almost 4 feet over the sides. 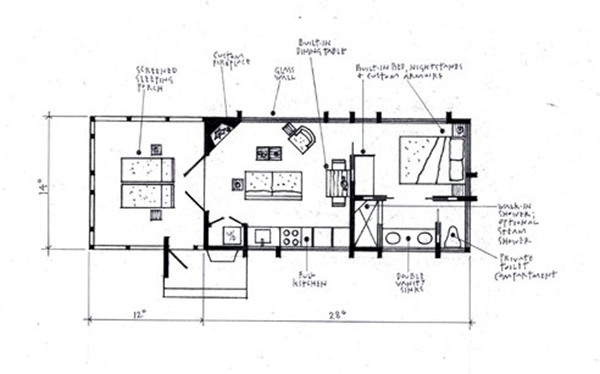 The Escape cottage was designed by Kelly Davis of SALA Architects, a firm based in Minneapolis. 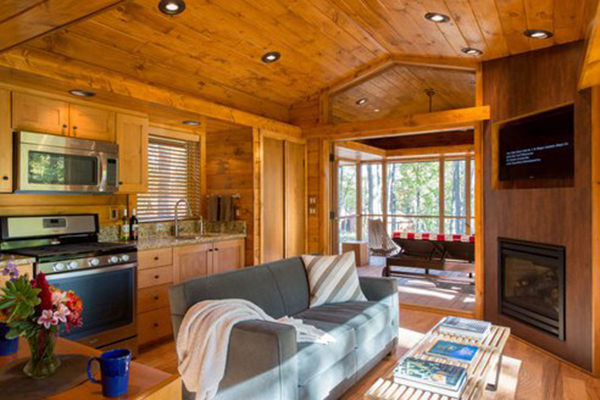 To get a feel for the cabin, these cottages can be rented at Canoe Bay, in Wisconsin for $298 a night. However, Canoe Bay’s owner, Dan Dobrowolski, is also selling the base model of the cottage for $79,000. 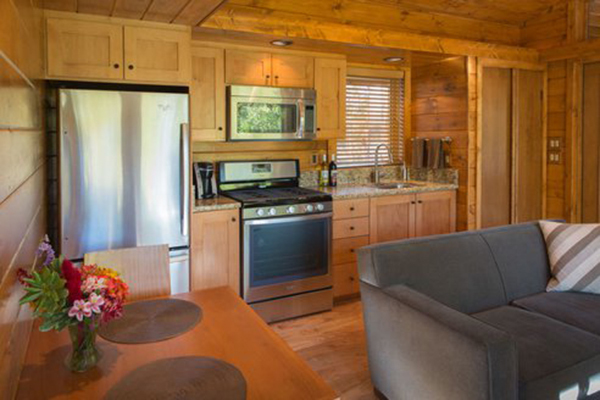 The fully customizable base model of the Escape cottage features cathedral ceilings, recessed LED lighting, custom kitchen cabinetry, cedar siding, and plenty of storage space. 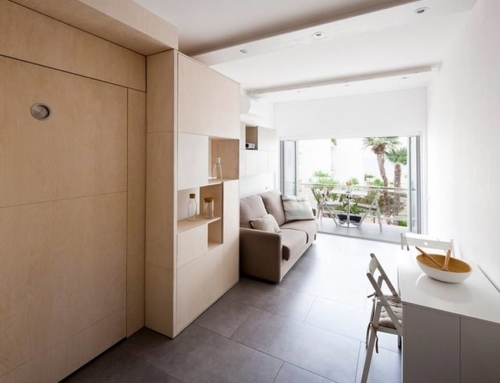 The toilet and bathroom are in separate spaces for added privacy. However, if you want the deluxe package the price increases to $118,400. 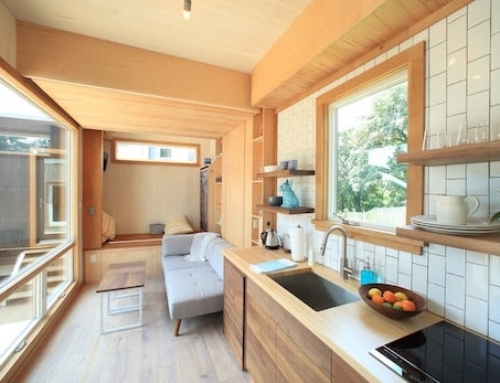 This deluxe version of the cottage comes with many sustainable features, which make it easy to park the home pretty much anywhere you feel like. It features a steam shower, a high efficiency sealed combustion fireplace, split system AC/heat pump, stainless steel Energy Star appliances, a built-in sound system, and custom furnishing. 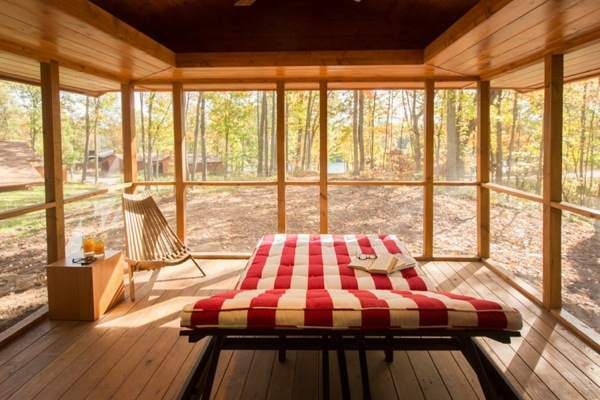 The cottage also comes with a screened-in sleeping porch with a heated double chaise. 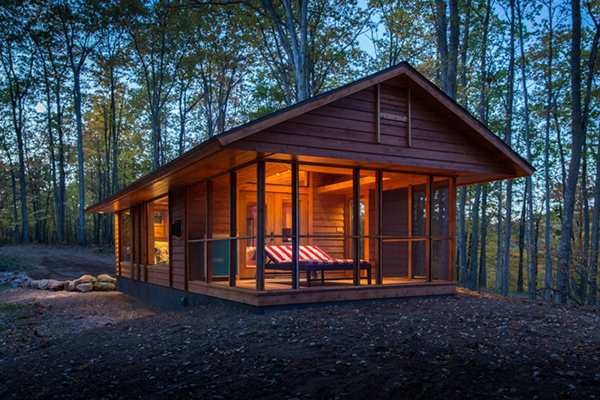 Escape cottages come with a two-year warranty, and financing is available. A solar panel array is unfortunately not an add-on option when purchasing the cottage, but the electric set up of the cottage is perfect for solar power. 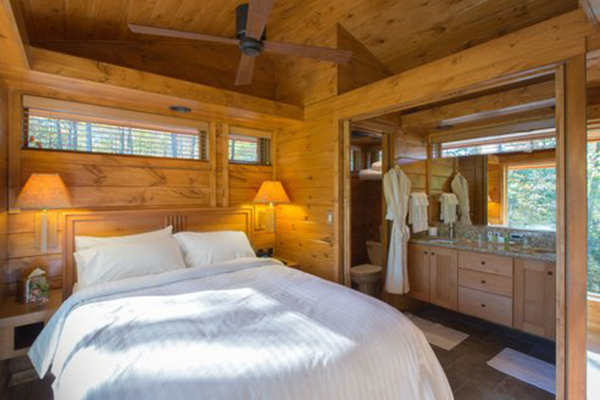 Since the Escape cottage is actually an RV, it is not subject to property taxes. However, since the unit is built to be a permanent residence, you can also place it on a permanent foundation, which would elicit taxes and permits, of course.